Here's where to watch every episode of I've Got a Secret season 5. Mouseover or tap an episode to see where to stream it. Click or tap the play icon to stream it on the best available service. Desi Arnaz & Lucille Ball Feb 8, 1956 1. "I built the chairs that the panel sits on.." 2. "I saw John Wilkes Booth shoot Abraham Lincoln." 3. Guest Desi Arnaz: All three regular panelists, who are in on the joke, disqualify themselves, leaving Lucy to guess the answer. Gregory Ratoff Feb 22, 1956 1. "I was just brought in off the street by Garry Moore." 2. "My parachute failed to open." … "I caught him in mid-air." 3. Guest Gregory Ratoff: Responds to questions in the manner of a director, writer, producer, and actor. Easter Special Mar 28, 1956 1. "Jayne and Faye have bees in their bonnets." 2. "I have the world's largest Easter bunny." 3. Goat eats a Winston cigarette. 4. "I have a horse who can roller skate." 5. "I kissed Winston Churchill." 6. 100 rabbits donated to the National Boys' Club of America. Emmett Kelly Apr 18, 1956 1. Guest Emmett Kelly: Looking for a needle in a haystack. The panel must hold their noses so as not to detect the presence of hay. 3. Six members of the same Dutch-Canadian family all are going to get married in a single ceremony. Jackie Cooper May 9, 1956 1. Delivered more than 5,000 babies. 2. Founder of Fuller Brush Company. 3. Guest Jackie Cooper: A stenographer is backstage recording the entire segment. Jimmy Durante May 16, 1956 1. Colonial color guard. 2. Performance by Third Infantry Regiment old guard drill team. 3. "We made the first bombing raid over Tokyo in World War II." 4. "I said, 'Sighted sub, sank same'" 5. Fooled the Japanese into thinking a Scottish regiment was approaching. 6. Guest Jimmy Durante: Teams with Garry to perform a tongue-twister comedy routine. Marguerite Piazza Jun 6, 1956 1. "I was married by trans-Atlantic telephone … I haven't seen my husband since." 2. "I own this theatre." 3. Guest Marguerite Piazza: The panel have to sing their questions. "I'm wearing earplugs." 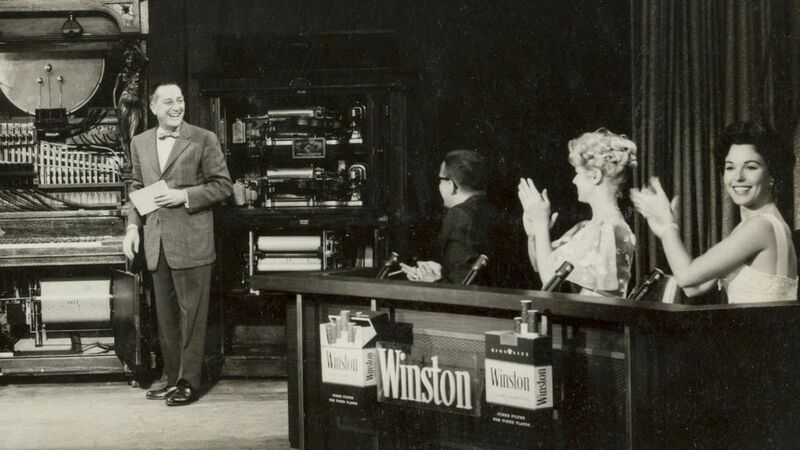 Fourth Anniversary Show Jun 13, 1956 This anniversary show includes many excerpts from early episodes not otherwise available. Sheree North Jul 25, 1956 1. "I play 5 musical instruments at the same time." 2. "I am a direct descendant of Lady Godiva." 3. Guest Sheree North: Covers Don with sand. David Wayne Aug 8, 1956 1. "My daughter was born while I was watching 'I've Got a Secret.'" 2. "I'm going to play the organ at both political conventions." 3. Guest David Wayne: Mock political convention is held with lots of confetti. The panel don't know they're campaigning to see who has to clean up the mess. Ann Sheridan Sep 5, 1956 1. "I waited on Garry Moore's table during his vacation … and he forgot to leave me a tip." 2. "Somebody stole my watchdog" 3. Guest Ann Sheridan: "I'm sending Henry Morgan to Africa tomorrow … and he doesn't know a thing about it." Details Unknown Sep 12, 1956 The panel had to milk a cow. A clip is shown in Jayne's farewell tribute of 11/5/58, and the segment is mentioned again on 12/2/59. Paul Newman Oct 3, 1956 1. "I am holding my breath." 2. "I give Jack Benny violin lessons." 3. Guest Paul Newman: "I sold Henry Morgan a hot dog at the World Series today … and he doesn't know it." Orson Welles Oct 10, 1956 1. "I lost 433 pounds." 2. Guest Orson Welles: Has predicted upcoming presidential election and sealed his predictions in an envelope. Don Ameche Oct 24, 1956 1. "I married 49 couples by mistake." 2. "I discovered the planet Pluto" 3. Guest Don Ameche: The "secret" is from cards from the home version. "I'm a baldheaded garbageman who stands on his head while taking a shower." Bud Collyer Oct 31, 1956 Panel are seated next to look-alike pumpkins 2. "I cut Steve Allen's throat … while shaving him." 3. Guest Bud Collyer: Tries out potential new "Beat the Clock" stunts. 4. What frightens you most? Robert Young Nov 14, 1956 1. "I'm going to conduct Toscanini's orchestra in Carnegie Hall." 2. "I gave Elvis Presley a haircut." 3. Guest Robert Young: The entire contents of Faye's dining room have been transported backstage for a farewell party. Art Linkletter Dec 5, 1956 1. "I have 2 full-grown horses in this box." 2. "I've been a bridesmaid 17 times … but never a bride." 3. Guest Art Linkletter: Laments the underappreciation of Bill and takes up a collection for him from the audience. No Celebrity Dec 12, 1956 Following Art Linkletter's "collection drive" last week, this episode is devoted to the junk sent in by the home audience. Postal employees sing "Hark, the Herald Angels Sing" and "Deck the Halls." Vincent Price Dec 19, 1956 1. "I just picked the pockets of the audience." 2. "I won 2 gold medals at the Olympic Games in Australia." 3. Guest Vincent Price: Christmas cards from celebrities are shown and the panel have to guess who sent them. Faye Emerson Dec 26, 1956 1. "I've been struck by lightning 8 times." 2. Guest Faye Emerson: The panel "takes revenge" on Garry for the past year's actions.